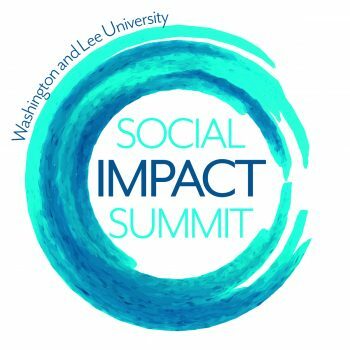 The second annual Social Impact Summit at Washington and Lee University is Oct. 27–28. This year’s event focuses on “Exploring Careers and Issues in Social Innovation and Responsible Leadership,” targeting jobs in environmental health and corporate social responsibility careers. There is no charge to attend, but registration is required by Oct. 24. For a full schedule of the summit and to register, members of the W&L community can visit https://www.wlu.edu/shepherd-program/alumni-and-career/social-impact-summit. 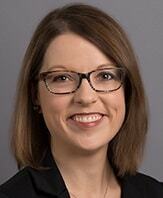 Kelly Stewart Nichols ’00, will deliver the keynote address, and her talk is titled “Getting Comfortable with Discomfort: A Meditation on an Interdisciplinary Career Path.” Nichols co-founded Woolard Nichols & Associates, a small consulting firm in Austin, Texas. “The summit is designed to give current students the opportunity to network with and learn from alumni and others who are making a social impact through their professional lives,” said Wendy Lovell ’90, assistant director for community-based learning and communications. There will be three panel discussions during the two-day event that feature alumni and successful entrepreneurs. Panels topics will focus on environmental, healthcare and corporate social responsibility. The healthcare panel will feature Emmanuel Abebrese ’15, University of Virginia medical student and executive director of Citadel Foundation for Kids Inc.; Adam Lewis ’10, director for communications and marketing at Gradian Health Systems; and Kelly Sheppard ’08, postdoctoral fellow at The Research Institute at Nationwide Children’s Hospital. The corporate responsibility panel includes Kate Donnelly ’11, manager of accounting operations at the Goodwill of Greater Washington; Ginny Hodges ’11, community relations specialist for Wells Fargo; and Elizabeth Tual, corporate social responsibility manager at Devils Backbone Brewing Company. The summit is a collaborative program, sponsored by the Shepherd Program, Career and Professional Development, the College and the Williams School of Commerce, Economics and Politics.